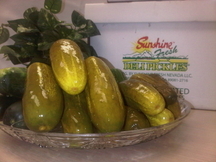 Kosher Dill Pickles - This is the most popular style Refrigerated Pickle. It is also known as German Style, Kosher Style, Garlic Dill and Deli Dill. We offer this style pickle in Whole, Spears, Chips, Halves and Sheets. Old World Style Pickles - This is where we got our start! Still made in Barrels and re-packed fresh and cold. The true New York Jewish Pickle! Green or Half Sour still a cucumber taste with LOTS of Garlic and spices. Full Sour aged and cured in barrels then chilled and aged some more! 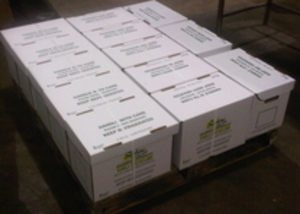 Fresh Cut Sauerkraut re packed and ready to use. 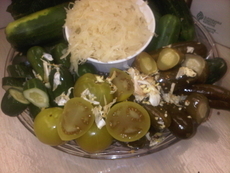 Pickled Green Tomatoes to all you Deli Mavens, Need we say more? Hot and Spicy - These Hombres will make any cowboy sweat! Lots of red chilis and just the right amount of garlic! Bread & Butter - These sweet and zesty pickle chips even makes Grandma smile! The perfect blend of sweet, savory and a few other things! From a secret recipe she doesn't even know!